I bet it’s no secret that I love sharing my goodies with friends, loved ones, strangers, neighbors, readers, people on the interwebs– hence the blog– and that it just makes my heart happy to see someone enjoying my beloved creations. 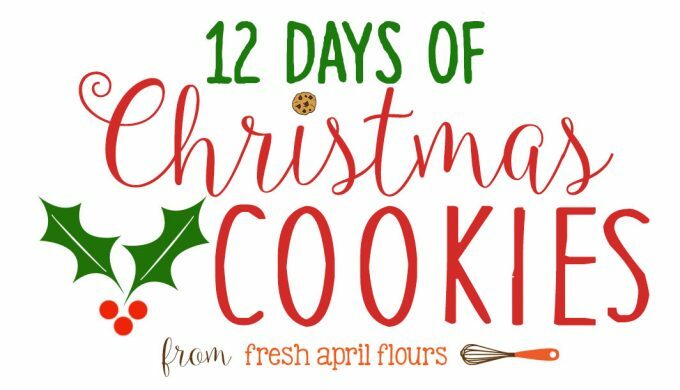 And thank goodness that the holidays make it so easy for me to dish out cookies left and right (and cake, can’t forget about the cake), because I have been a cookie machine these past few months with all of the cookies I put together for my annual 12 Days of Christmas Cookies. My absolute favorite type of sharing to do is with those who could just use a little extra something to either cheer them up or give them a break from making something for themselves. And lucky for me, this past weekend, a baking adventure coincided with visiting friends who had twins about 8 weeks ago and could use a little something to fill their bellies and give them something to smile about (aside from the adorableeee little girls they have). They also have a 3 year old, so… Something to keep her busy too? One kid to three kids overnight. YIKES. Cookies all around, amirite? And, not only did I get to share these cookies with friends, but this recipe was sort of shared with me/I’m borrowing it from a friend because I have some amazing friends on those interwebs I was speaking of who have some incredible creativity going on and mouthwatering recipes that I drool over constantly. Constantly! 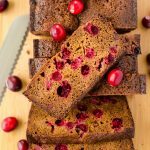 When I was asked to include a cookie recipe this year featuring Bob’s Red Mill’s products, I knew just the cookie I wanted to recreate, because the originator of the recipe already laid out a picture perfect cocktail of ingredients and I knew I could swap some flour out nicely from her gluten free version. 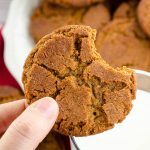 Yes, I’m speaking of my dearrrr friend Amy of Thoroughly Nourished Life (whose blog I just gush over frequently) who shared her own gingerbread crinkle cookies last year, which is precisely when I copied the recipe down and knew I had to add it to my own lineup. And I am so glad I did because OMG GUYS, THESE COOKIES ARE BOMB CITY. So before I get to the recipe, let’s talk about the main “bread and butter” of these cookies– the unbleached all purpose flour. 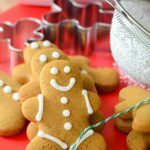 We used this same flour last year in my molasses iced oatmeal cookies, also brought to you by Bob’s Red Mill, and it fit perfectly in this year’s gingerbread crinkles too. And why did we use unbleached flour? Because, since the flour hasn’t been bleached, it has its nutrients and natural color intact, and no additives. It is the purest form of flour, and it also has a higher protein content than bleached flour, meaning a slightly denser baked good. 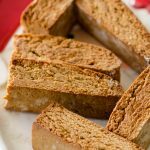 This can be undesirable in something like cake or bread, but when it comes to a cookie that must hold up to dunking, we are headed for dense and hearty land. To our dense and hearty base, we’re adding all the flavor with molasses. In Amy’s original recipe, she uses something called “golden syrup,” which is an Australian thing. She mentions that you can use honey as a substitute, so I figured using molasses in its place would be the prefect swap. And I was right! A little ground cinnamon and ground ginger top off the flavor with just a touch more spice. Seriously, all the flavor, friends. 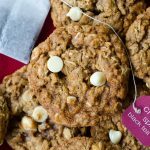 These cookies are absolutely packed with it! And we’ve visited crinkle cookies here before too, and who doesn’t love them? 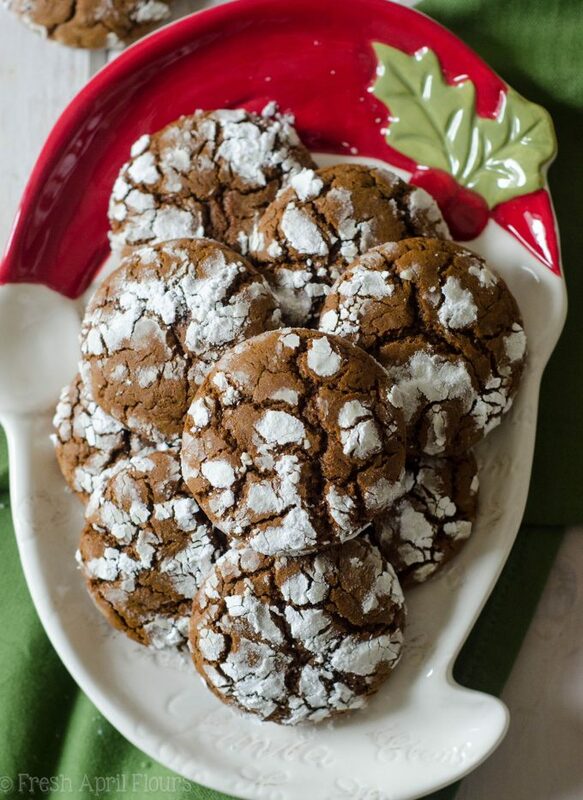 Not only are they just so cute and crackly, they have that irresistible coating of powdered sugar on the outside that give every bite just a little something extra special. 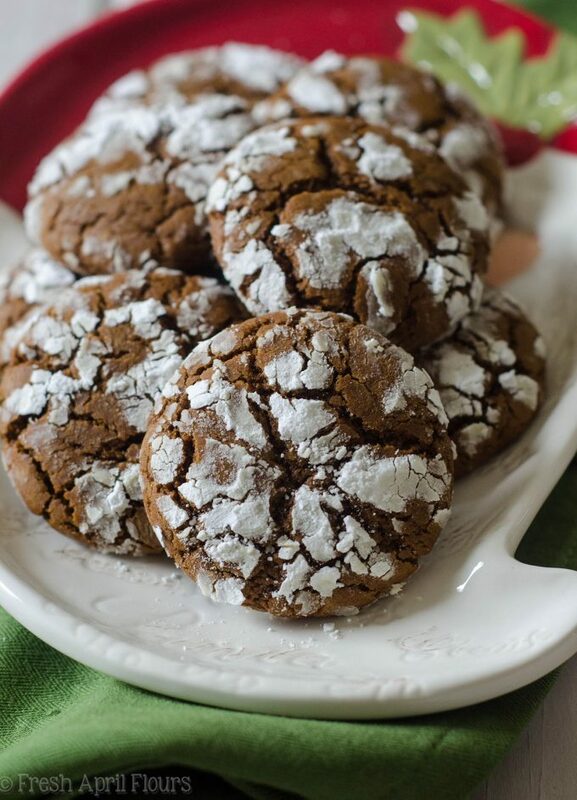 A spicy cookie covered in sweet sugar is just what your holiday needs– believe me. These cookies are legitimately perfect. They puff up in the most expert puff and once they’re cool, they are crisp on the outside and soft on the inside. 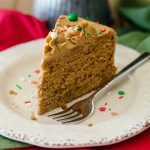 They are the best of both texture worlds and if you give them a hearty dunk in coffee, tea, or eggnog, I assure you that you will absolutely love the outside staying just a tadddd crisp and making way to a center that just melts in your mouth. 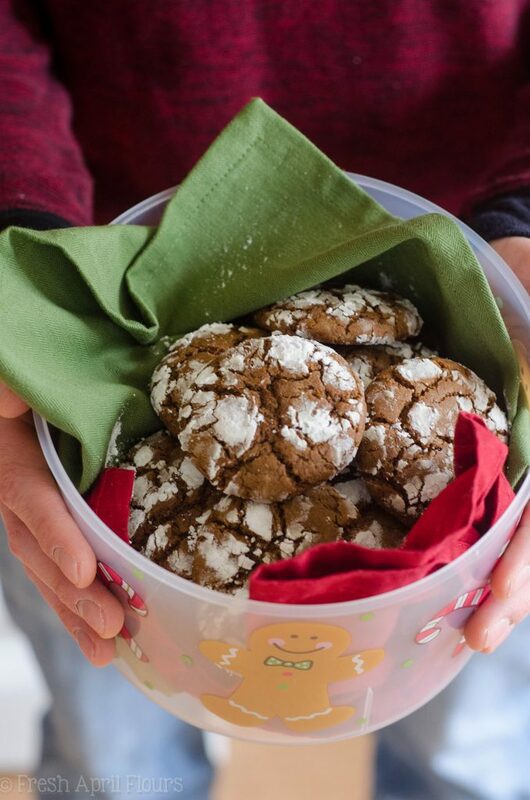 I can also assure you that whomever you decide to share your gingerbread crinkle cookies with will love you forever because they will know how much you care when they grab one taste of these cookies. Put them in a cute cookie container and you’ll be their bestie for life. Guaranteed. 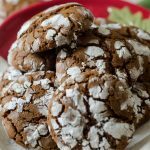 This is definitely one of my new favorite cookies to make for Christmas and I have Bob’s Red Mill, my friend Amy, and all of my trusty taste-testers to thank for helping make this cookie possible. It takes a village to raise a child and also make cookies, and I am a-ok with that if this is the result I get with some help! 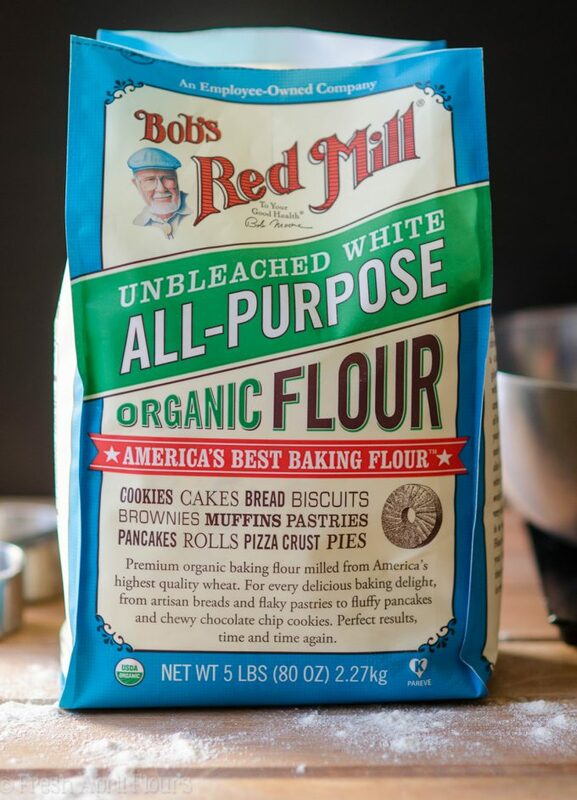 Thank you again to Bob’s Red Mill for sponsoring this post! Check out more delicious and healthy recipes, snag coupons, and find stores near you at BobsRedMill.com! 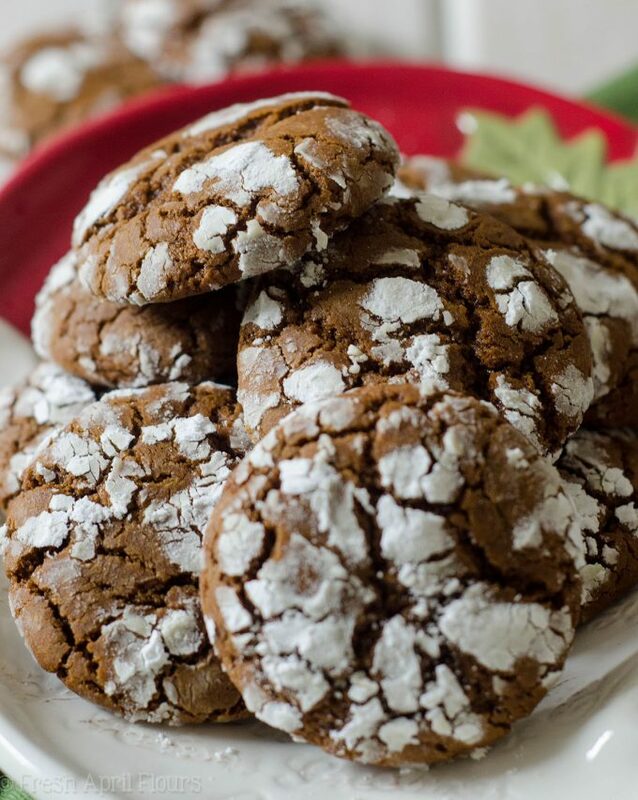 A crunchy, spicy cookie covered in sweet powdered sugar, perfect for dunking in a glass of eggnog. In a medium size bowl, toss together the flour, ginger, cinnamon, salt, and baking soda. Set aside. In a large bowl with a hand mixer or the bowl of a stand mixer fitted with the paddle attachment, blend the melted butter and molasses together until fully incorporated. Add the brown sugar and beat again until combined. Beat in the egg. Scrape down the sides of the bowl with a spatula as necessary. Reduce mixer speed to low and gradually add flour mixture. Mix until just combined. Cover bowl and chill in the refrigerator at least 1 hour and up to 3 days. If chilling longer than 1 hour, allow to sit at room temperature about 15 minutes before rolling into balls. Bake cookies for 15-16 minutes or until cookies look mostly matte (not wet or shiny). Remove from oven and cool on the baking sheet for 3 minutes before transferring to cooling rack to cool completely. 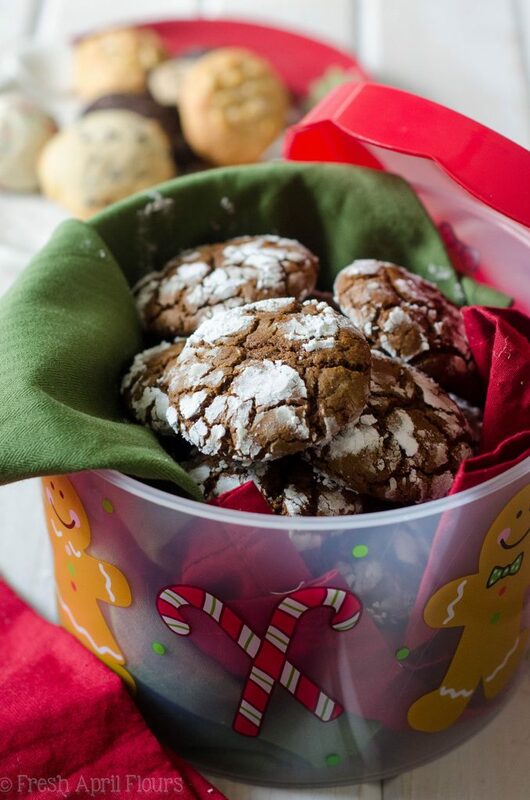 Store cookies in an airtight container at room temperature up to 10 days. Baked cookies freeze well, up to 2 months. Rolled cookie dough can be frozen up to 3 months. Roll in powdered sugar before baking and bake frozen. Add another 1-2 minutes to baking time.